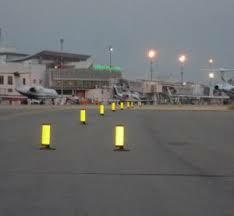 • Further work to be done on airside, says FAAN. The Nigerian Civil Aviation Authority (NCAA) has approved for re-opening the Nnamdi Azikiwe International Airport (NAIA), Abuja, after inspecting the rehabilitated runway. The reopening, after six-week of closure, will ease the pains of Abuja-bound air travellers that have had their flights diverted to the Kaduna International Airport while the repairs lasted. The Director-General of Nigerian Civil Aviation Authority, Capt. Mukhtar Usman, confirmed that the job had been done up to at least 99 per cent, with expectation that the remaining work would be completed on or before the official opening date. Mukhtar disclosed that NCAA had concluded the second phase of inspection as follow-up to the recommendations made to the contractors to correct some areas of concern earlier identified by a team of experts. According to him, they inspected yesterday, made some observations but the findings that were found were not safety critical and today it is found that they have been rectified. The Managing Director of FAAN, Saleh Dunoma, said the identified grey areas would be corrected after the agreed action plan and timeline with NCAA. Dunoma said: “The inspection has been conducted. Since the beginning of the project, this is the major inspection that was conducted. Although, we have been working in collaboration with the NCAA, but of course, we have to adhere to procedures and these procedures are that after the completion or near completion of the project, an inspection will be conducted. An official of Julius Berger, who was part of the inspection, Dr. Lars Richter, expressed delight on how well the project has gone. Richter said: “We are really proud to be part of this project. It was quite a bit challenging to finish the project within six weeks. At the beginning, everybody in Nigeria was concerned. Not everybody was happy that the airport was closed for six weeks. The General Manager, Project, FAAN, Abiola Adejare explained that work would still continue on the general maintenance of the airport after the reopening. “The information that work would still be going on six months after opening is not correct, although we will still continue work. We still have some facilities around the airport that we need to make perfect and we even have a contract with Julius Berger on airside rehabilitation work.”The airside of an airport includes all areas accessible to aircraft, including runways, taxiways and apron/ramps.